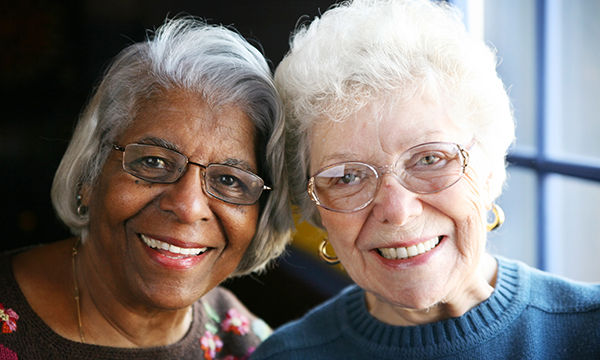 How nurses can support people facing memory loss, isolation and the fear of discrimination? How can nurses support those with memory loss whose life experience differs so much from others their age? For older lesbian, gay, bisexual and transgender (LGBT) people who have memory issues, being asked about their past can sometimes cause anxiety, triggering painful recollections. Nurses working with this group of patients can benefit from understanding the issue and knowing how best to handle this situation. ‘There are a lot of services for people with dementia now, but many assume everyone is heterosexual,’ says Alice Wallace, director of Opening Doors London, the UK’s largest charity providing information and support services specifically for older LGBT people. Use inclusive language, advises Ms Wallace. ‘We often assume that everyone is heterosexual unless we know differently,’ she says. ‘It may take a little practice, but everyone can adapt their vocabulary to be more inclusive.’ This includes asking for relationship rather than marital status. Including ‘preferred pronoun’ on a form also shows understanding that someone may not identify as they appear, she says. As most older LGBT people will have had some negative experiences of coming out, it’s important to value their disclosure to you, says Ms Wallace. ‘Find an appropriate form of words to demonstrate you’re pleased they’ve told you, are comfortable with the information and able to take it into account in their healthcare,’ she says. Have the confidence to challenge discriminatory attitudes and behaviour, urges Ms Wallace. ‘Many nurses admit to having heard colleagues make negative remarks,’ she says. Older LGBT people can be particularly anxious about being treated in a safe and supportive space because of past experiences of unwanted banter, verbal abuse and physical violence. Drawing on their experiences, Opening Doors London is now developing materials it hopes to share with other organisations. ‘We can say, "If you’re working with older LGBT people, here is something appropriate for you to use",’ says Ms Wallace. Attracting at least a dozen people each month, the café is just one of around 45 regular social activities and events run by Opening Doors London for more than 1,900 members aged 50-plus. 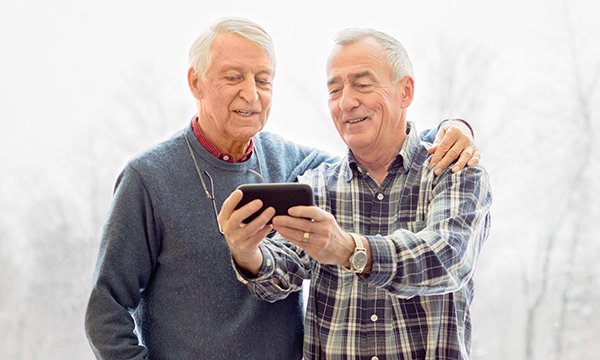 Others include piloting a virtual support group for gay and bisexual men with prostate cancer, alongside a national conference on health and social care needs of LGBT people. ‘Our aim is to ensure that people can live happy, healthy, independent lives, free from loneliness, isolation, prejudice and discrimination. We’re nothing if not ambitious,’ says Ms Wallace. Experiences of joining social events run by other organisations that target this age group can be negative, with some deciding it’s easier to hide their sexuality than have to confront constant questions or face potential abuse. Healthcare professionals can potentially play a huge role in improving both the lives and the health of the older LGBT community, she says. Evidence shows that health outcomes are generally worse for LGBT people than for the rest of the population. A government survey of more than 100,000 LGBT people published in July 2018 found that many had difficulties accessing healthcare services, with some experiencing inappropriate questioning and curiosity from healthcare staff, and many feeling their specific needs were not taken into account in their care. RELATED: Should all patients be asked about their sexual orientation? The findings echo Ms Wallace’s experience. ‘LGBT people can have low levels of confidence in healthcare professionals, with many saying they wouldn’t come out to their healthcare provider,’ she says. To help, Opening Doors London provides a comprehensive nationwide training programme for health and social care professionals. 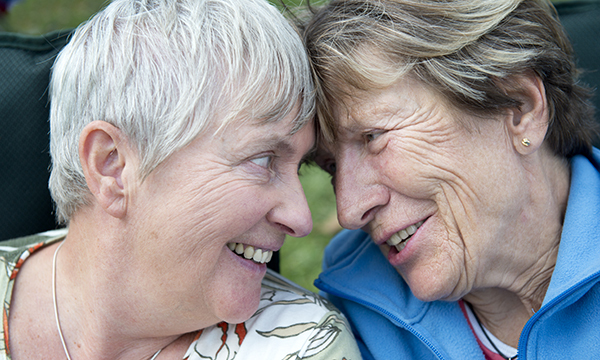 Courses include improving awareness for care and support staff, personalising care for older LGBT clients, palliative and dementia care, and bereavement support. Training offers a space where it’s safe to ask questions, with volunteer ambassadors on hand to give real-time feedback. ‘We’ve had resistant groups of people who arrive reluctant to talk about gender or sexuality, but by the end of the course they’re buzzing, understanding how they can ask in ways that are comfortable for everyone,’ says Ms Wallace. LGBT people who have suffered discrimination and bullying may be more likely to experience mental health problems than the wider population. The government’s survey of more than 100,000 LGBT people showed that almost a quarter of respondents had accessed mental health services in the previous 12 months. But there are also specific issues that apply to groups within the LGBT community, such as bisexual people. Several studies show they are much more at risk of developing depression and anxiety, obsessive compulsive disorder and bipolar disorder than those who are gay or lesbian. Because bisexuality is often either disregarded or misunderstood, in 2016 Mind published Stand Bi Me, which provides information and guidance on some of the issues. Several studies show bisexuality carries a greater stigma than being lesbian or gay, says Mind’s report, with many associating being bisexual with promiscuity and feeling confused, and some even doubting its existence. Statistics show that bisexual people are six times as likely as the average person to report feeling suicidal. Bisexual men, in particular, experience more psychological distress than gay men, and are far more likely to cite their sexuality as a reason to self-harm or feel suicidal. Bisexual people are also far less likely to be ‘out’ to family, friends and colleagues. ‘Strides need to be made to tackle the prejudices and stigma that prevent many bisexual individuals from receiving the support and respect they deserve,’ says the report. Nursing staff are pivotal in helping all members of the LGBT community to receive better care for their mental health, says Mr Vige, not least because they are likely to have the most contact with clients.